What sort of applications are industrial whirlybirds suitable for? The SW-RAF10000’s large airflow capacity makes it ideal for most commercial/industrial applications. Factories and Warehouses, sports facilities, day care institutions, office buildings, large community centres, exhibition centres, industrial sheds etc. are all perfect applications for SW-RAF10000 industrial whirlybirds. Where can I purchase Solar Whiz products? 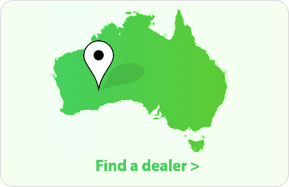 GES has an extensive network of dealers throughout Australia. 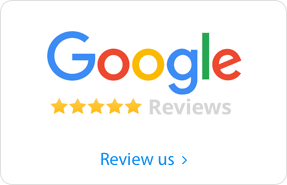 Please check our website for our dealer list or contact us to link you up with your nearest dealer and/or installer. How much air can the Solar Whiz Commercial Ventilation Systems (SW-RAF10000) move? Like our smaller domestic Solar Whiz units, the SW-RAF10000 unit is named according to the maximum airflow capacity of the fan. Therefore the maximum airflow capacity of the industrial whirlybirds SW-RAF10000 – measured without resistance is 10000 cubic metres of air per hour (cbm/hr). How much air each type of Solar Whiz is able to move compared to a standard whirlybird? The SW-RAF10000 is capable of moving 10000cbm/hr – 100 times the air volume that of your standard industrial whirlybirds will do! How many industrial whirlybirds roof ventilation units do I need? To calculate how many SW-RAF10000 units you will need, you will first need to calculate an estimate of the volume of the facility you are looking to ventilate (length x width x height). When you have this figure, you need to multiply this by the recommended number of air changes. Or for alternative sources, see the list at the bottom of our commercial ventilation page. So, 7 of the SW-RAF10000 units would be recommended in this case. What model of Solar Whiz is best for ventilating a Large Shed, Warehouse, or Factory? For spaces 750cbm (cubic meters) and above, a combination of our SW-RAF7000 model is an effective means of ventilation and cooling. For large spaces 2250 (cubic meters) and above, or those that need strong ventilation (chemicals or smoke inside); the SW-RAF10000 (or a combination of these) is most appropriate. It is not only our most powerful unit, but also the most powerful on the market! Can the commercial ventilation system be thermostatically controlled? The SW-RAF10000 can be installed with our adjustable thermostat if you wish to do so. The SW-RAF10000 will run until the temperature at the location of the thermostat drops below the temperature set on the thermostat. The adjustable thermostat also has an on/off switch so you can switch the unit completely off, if you wish to do so, e.g. during the winter months. In some applications where constant ventilation is required, it may not be beneficial to have the thermostat installed. What size is the motor and PV panel that is supplied with the commercial roof exhaust fan? The SW-RAF10000 is supplied with a 24V, 100W motor and PV panel to suit. How noisy is the commercial ventilation fan? The SW-RAF10000 unit is rated to run at The noise of the fan from the SW7000 pretty much compares to the fan of a refrigerator (<50dBA) but will be on the roof . What are the components of a Solar Whiz? 26 (24?) Volt DC brushless motor with double shielded ball bearings. What is the casing made of? Is it strong? Cold sheet steel stainless steel fasteners and screen. What are the dimensions of the units? • 100W Panel – 1010x725x70. Why is passive ventilation not enough? By the time passive ventilation kicks in – the roof space is already too hot. The Solar Whiz starts working as soon as the sun shines, preventing your roof space from reaching high temperatures in the first place. As previously mentioned, the Solar Whiz is capable of moving a lot more air than your standard Whirlybirds. 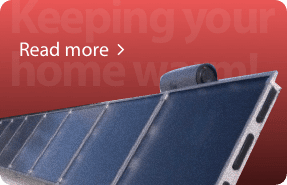 As far as other roof extractors at comparable prices go the Solar Whiz is a class leader. What is replacement air and how do we get replacement air into our building? The SW-RAF1000 extracts a significant amount of predominantly hot/warm air; for cooling to take place we need replacement air. If you don’t have – or in addition to – passive ventilation vents in the building – replacement air can be obtained by leaving windows, roller doors, emergency exit doors or anything similar slightly open while the SW-RAF10000 is operating. Where does replacement air come from? Open doors, roller doors, windows, passive vents. What is the difference between an intake and exhaust vent? The most important difference between an intake and exhaust vent is their location on the roof. All exhaust type ventilators are to be installed on the upper 1/3 portion of the roof space. Intake vents are generally installed in the under-eave/ overhang or fascia area. Ask us about the type of eave vents we recommend complementing your Solar Whiz installation! I want to stop warm air escaping during the winter months from the Solar Whiz opening even after installing a thermostat. How is this done? The thermostat obviously stops the unit from running in the colder winter times which will ensure that valuable heat in your roof space during these times isn’t being ventilated out. If you wish to take things a step further you can cut a piece of foam to fit and place it inside the Solar Whiz. Our ceiling vents are completely closeable so you can close these easily in winter to stop valuable heat escaping. Can I install a Solar Whiz on my shed/workshop etc.? Absolutely! Tin and other variety of sheds can get extremely hot in the summer months making them very uncomfortable to work in. The Solar Whiz is a great, cost effective way to keep a shed or workshop cool! As the Solar Whiz is completely solar operated, a unit can be installed in sheds with no electricity available. How difficult is it to install a Solar Whiz? Installing Solar Whiz industrial ventilation is pretty straight forward for a competent handyman or a professional installer. It is therefore possible to do the installation yourself and we are happy to provide installation instructions and advice. Most Solar Whiz units are installed by our dealers/installers. DIY Installation instructions can be found here. Would you be comfortable installing a whitlybird? Then our roof ventilation fans are only a little more step up from this. What is the warranty on the industrial ventilator and how do I obtain a warranty service? 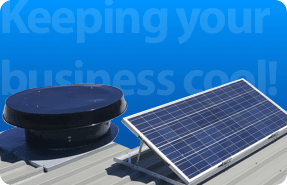 Solar Whiz commercial roof ventilators are designed and manufactured for durability in the harsh Australian conditions and backed by a 10 year warranty on PV panels and 2 years warranty on other components. An extended warranty is also available. In order to make a warranty claim, please contact the dealer you purchased the unit(s) from or alternatively give GES a call on 1300 655 118. In the unlikely event of making a warranty claim, you will need to give us a call on (03) 9808-1555 or 1300 655 118 and let us know the nature of the problem. Alternatively you can send us an e-mail with a photo attachment showing the problem. Replacement parts will be sent ASAP, and can be sent anywhere in Australia. 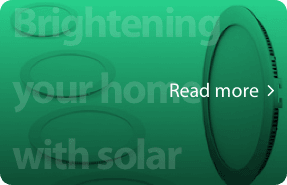 Remember the Solar Whiz has only one moving part and is covered by our 2 year warranty. If there is a fault with your SW-RAF10000 unit outside of the warranty period/terms, replacement parts are available and stocked by GES. Give us a call on 1300 655 118 to discuss. My warranty has expired - can I purchase replacement parts? Can the industrial roof ventilation system unit run at night? The SW-RAF10000 can most certainly be run at night if you wish. This is done via our night operation kit; which uses a relay switch to alternate between solar power and mains power, when there is insufficient sun. The switch is automatic. If the industrial roof exhaust fan is installed with a night operation kit and no thermostat, the unit will run virtually 24/7 (there is a small lag when switching from solar power to mains). If SW-RAF10000 industrial whirlybirds are installed with a night operation kit and thermostat, the unit will continue to run until the set temperature is reached. Can the Solar Whiz be used at night? At its basic level, Solar Whiz industrial whirlybirds will operate whenever the sun shines. However, we have developed a night operation system operating on a relay that will switch between powering the unit from the sun and a 12 volt power supply when the sun goes down. The system will automatically switch back to PV power when there is sufficient sun to run the fan. It is important to note that this system requires a power point in the roof space. What if I want to ventilate all the time? Solar Whiz industrial whirlybirds can be connected to a power supply, without a thermostat (like the night pack) and will run all the time. Can the unit be set to run during a fixed time period? Where are Solar Whiz products produced? 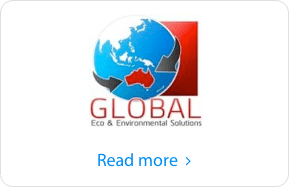 Solar Whiz industrial whirlybirds are designed in Australia by Global Eco & Environmental Solutions (GES Pty Ltd) and developed and manufactured in cooperation with our Chinese partner. Submit a general inquiry for more information on commercial ventilation.